This is one of those licensing deals that only someone with the most tenuous grasp of their portfolio could concoct: THE INCREDIBLE HULK UTILITY BELT. It's another of those HEROES WORLD ads, from Marvel's US books cover-dated August 1980. 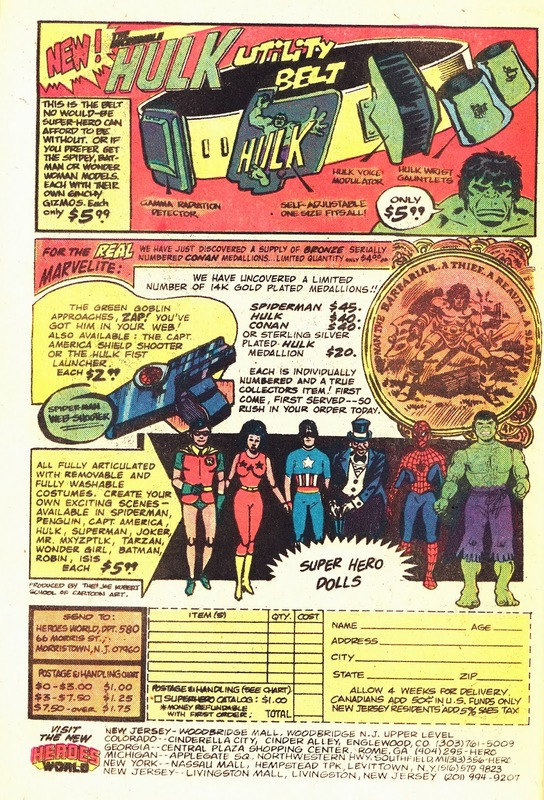 It would have appeared mid-way through the run of the really-rather-good THE INCREDIBLE HULK TV series, a boom time for Marvel's licensing team. Do you think it comes in adult sizes?